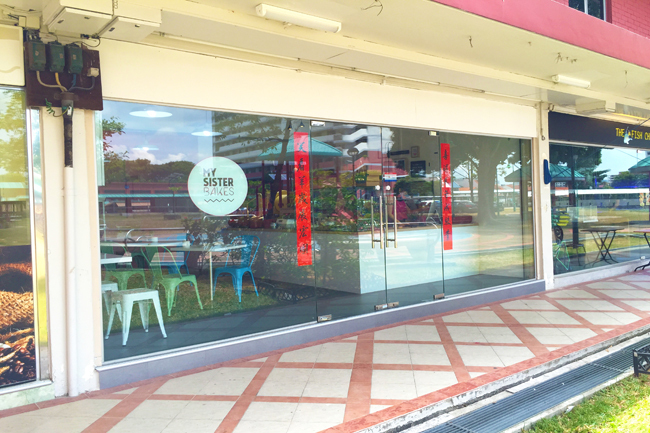 [Updated August 2015] My Sister Bakes has recently stopped retail of sliced cakes and coffee and has changed focus to become a baking studio. [Original Post] No, my sister doesn’t bake. I wished she could. Can yours? 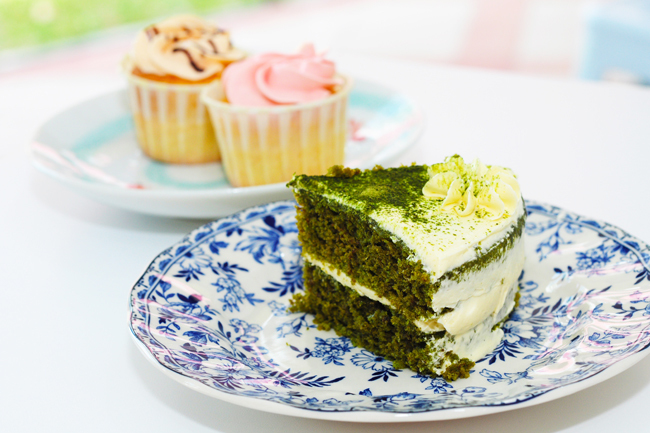 If you want to find a sister who bakes, make your way to Tai Seng for this bakery café – My Sister Bakes. 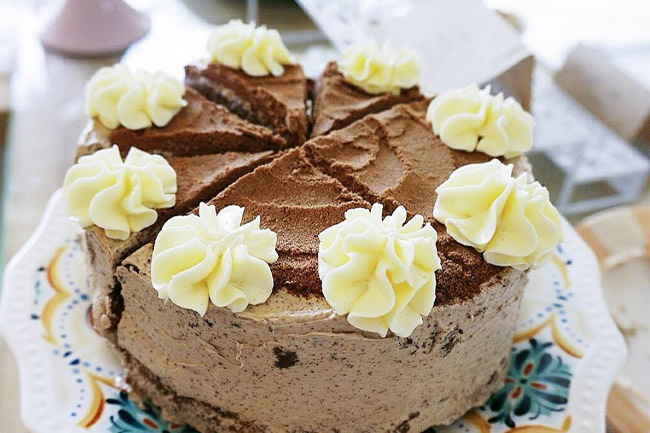 Esther first learnt to bake during her overseas study in Melbourne. Having been around for almost 1.5 years doing just customized cakes, My Sister Bakes decided to move on to setting up a physical shop at Macpherson Lane (5 min from Tai Seng) selling cupcakes and buttercream sliced cakes. A small selection of bakes is available each day and changes from day to day, depending on ‘my sister’s’ mood. Signature sliced cakes include Earl Grey Cake ($6), Rainbow with Nutella ($7.50), to a velvety smooth Milo Cake ($5.50). 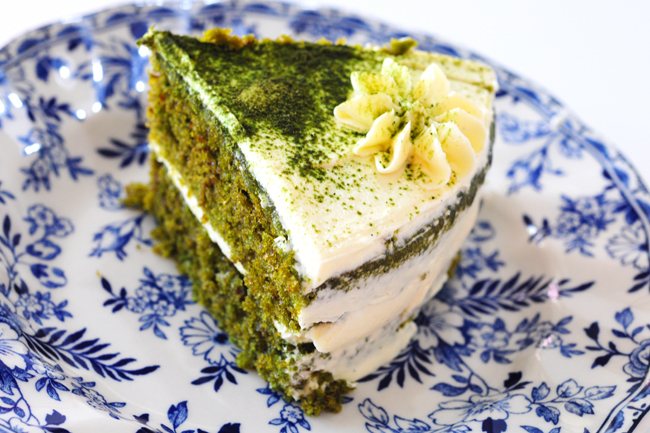 When we visited, ‘My Sister’ baked that Green Tea Vanilla Cake ($5.50) – she was feeling Japanese that day and we say “arigatoo” to Ah Jie. The slice was soft like a pillow, fluffy with a moist texture. ‘My Sister’ knew her customers well. No lingering bitterness and the green tea taste was pretty distinct. 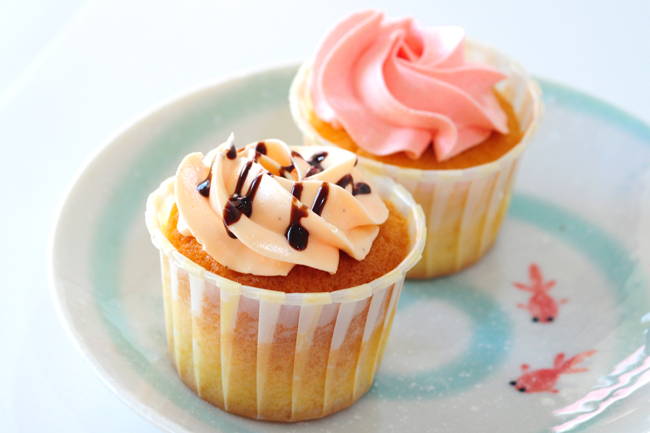 Next, ‘My Sister’ also baked two other cupcakes. The first, a Vanilla Lychee Cupcake ($2.50), had light and fragrant buttercream frosting. A pity the texture of the sponge was a bit dry. The other, an Ovomaltine Cupcake ($3) was much better – chocolate Ovaltime buttercream frosting, Nutella crunch within the cupcake. 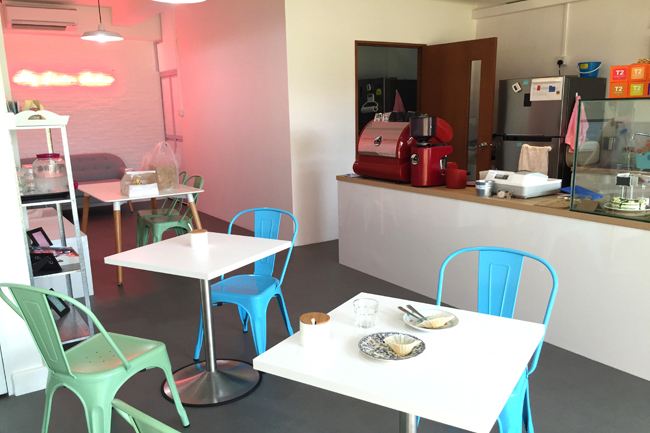 Situated within the housing estates, My Sister Bakes is a café with very simple interior and furnishing, and their sincerity could make make feel right at home. My Sister should do a good job taking care of your sweet desires.